Mark has been involved in growing businesses all of his career and has specialised in the BPO & direct marketing sectors for the past 20 years, working with leading brands in the telecoms, mobile, utilities and financial services sectors. He was a Director at HEROtsc for six years and led its spectacular growth from regional player to market leader, recording a turnover of £100million, through two private equity sales leading to its eventual sale to Webhelp. Mark built and grew the Aquira Group of companies from 2008 which became a market leader in Sales outsourcing and a pioneer of the intelligent data model and ‘Data Cyclone’ for marketing which helped many brands such as ‘3’ ‘Vodafone’ ‘Sky’ and ‘Scottish Power’ to grow significantly and compliantly. . Mark was founder and Chairman of not for profit company Reviive which donates all of its profits to the homeless and oversaw its dramatic growth to eventual merger with the Wrekin Housing group. 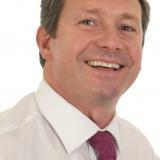 Mark has worked with or advised many of the largest BPO companies in Europe and continues to work with many trade organisations and bodies in the outsourcing, customer management and marketing sectors.